Mt. 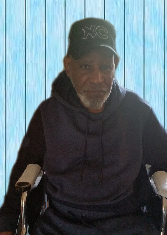 Olive - Mr. Robert "Bobby" King, 80 transitioned Saturday, February 9, 2019 at Goldsboro Assisted Living. "Bobby" as he was affectionately called by family and friends is the son of the late Johnnie and Julie Armwood King. Life Celebration Service will be held Saturday at 12 noon at Mt. Gilead Missionary Baptist Church with Rev. Anthony Ezzell, officiating. Burial will follow in Carver Cemetery.